Share about giveaway on either facebook or twitter! A dystopian romance that takes place on an island and is the melding of mythologies from two different cultures. Her destiny was written in the books...but can she change a course that has already begun thousands of years ago? Mackenzy Evers had moved with her mother from Angel Island to Aeros Island during her senior year. What can be worse than to finish her senior year at a new school? Living during the post-Erosion period on Earth where there is less land than before, Mac is happy to discover an island of rich beauty and lush landscapes, not to mention mysterious handsome boys and an ancient prophecy that is set to come true in Mac's lifetime. 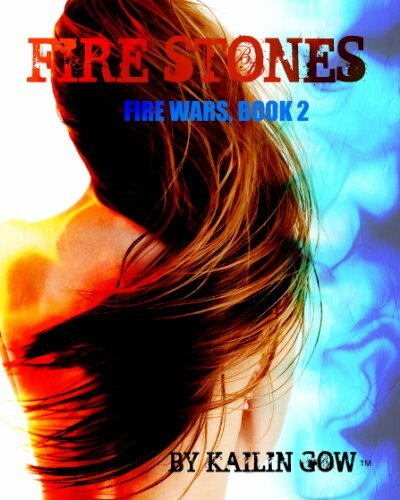 Chance Cutter claims she is his Queen, his goddess to his Fire King, whom he had been searching for years. Their attraction to each other is undeniable, yet why does he seem to hate her? And who is she really? Thanks for the review and giveaway! 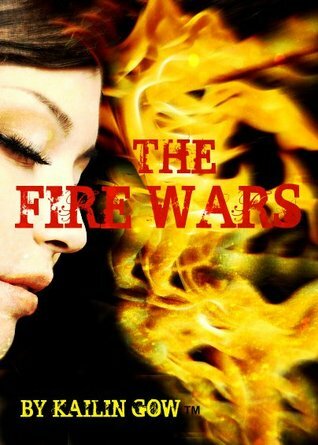 I haven't had a chance to read The Fire Wars #1, but I'm excited! Thanks so much for the chance to win, I've been wanting to read Kailin Gow books for awhile! These books sound really good. Thank you for the chance to win them. I twittered and facebooked ;) good luck eveyrone !!! YOu had me at FIRE ICE!! LOVE IT! Entered and hoping to win!! THANK YOU!! !